SCE and the National Renewable Energy Laboratory team up on a joint project to integrate large concentrations of solar power into the grid. On a sunny day in Anaheim, the solar action was indoors as more than 800 solar industry leaders gathered at the 2014 SunShot Grand Challenge Summit. The summit, launched by the Energy Department’s SunShot Initiative, brings together the solar community to share ideas and develop strategies to make solar more affordable for American families and businesses. Southern California Edison, a leader in solar connections and research to creatively integrate innovative technologies to achieve the next generation grid, and the National Renewable Energy Laboratory presented on a joint project to study how high concentrations of photovoltaic solar can be successfully integrated into the grid. “Creating a clean energy future for our customers without compromising safety, reliability and affordability won’t be easy — but we are up to the challenge,” said Richard Bravo, senior engineer at SCE and researcher on the project. SCE and the National Renewable Energy Laboratory team has been conducting some of the most advanced research in the nation on solar PV inverter systems — a critical component that converts the direct current (DC output) of a solar panel into the alternating current (AC output) for everyday use. 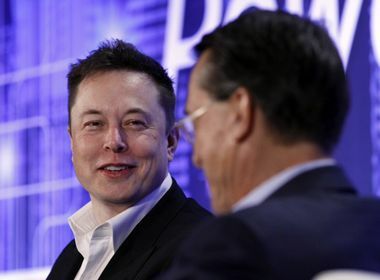 Their focus is to understand which inverter features are the best to maintain a stable grid when energy flows two-ways when it was initially designed for one-way flows. 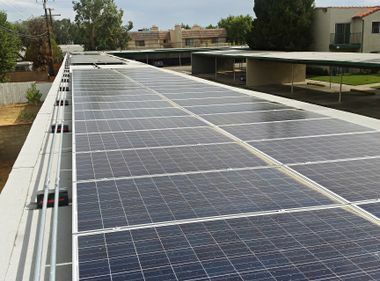 The joint research project includes three locations in SCE’s service territory that have high concentrations of PV: one in Fontana (3.5 megawatts of solar PV), one in Porterville (5 MW of solar PV) and one in Palmdale (3 MW). On clear summer days, these high-concentration sites experience reverse flows — or excess electricity flows into the grid from the local solar panels. SCE testing notes there could be some stability issues for the community, depending on what kind of inverter is used to integrate the power flows into the grid. SCE is also researching the many kinds of solar PV inverters available on the market. The utility’s engineers are testing more than 35 inverters, even importing European residential and commercial solar PV inverters to assess their advanced functions, which includes the ability to ride through voltage dips in the grid. The team is providing recommendations on which types of inverters can best handle high penetration of PV solar in these conditions, so that this clean energy technology can support grid stability, reliability and safety. Next year will be the final part of the five-year research project and the team will be testing different ways to solve or decrease some of the negative impacts that can come from high concentrations of PV, information critical to building out the next generation grid for SCE to support customers’ choices about their energy sources, including solar. As part of the project, the team will also publish a guidebook for others to use when developing their own next generation grid capabilities that include high penetrations of PV. 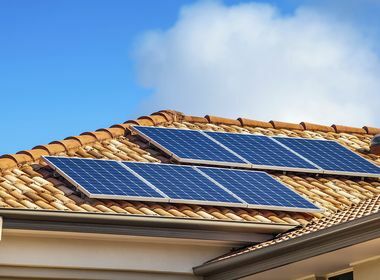 Is Solar Right for Your House?